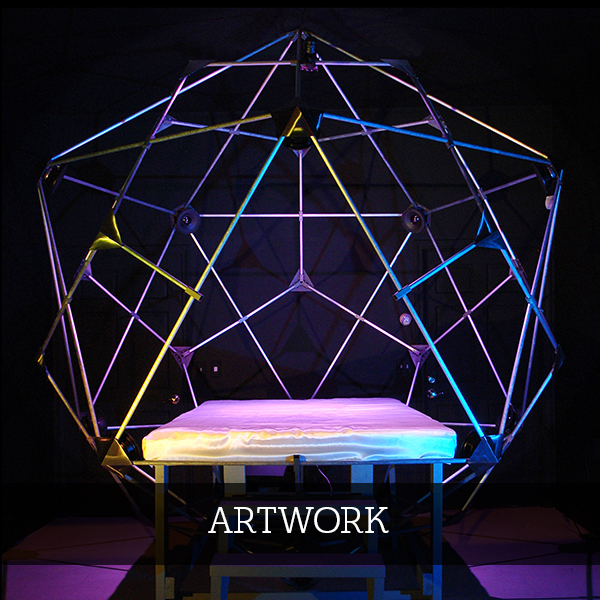 Derek Hoffend is a visual and audio artist who creates interactive sound-sculpture installations and electronic music, exploring sound as a medium intersecting with physical forms, structures, bodies, and spaces to create immersive and participatory experiences for viewers. 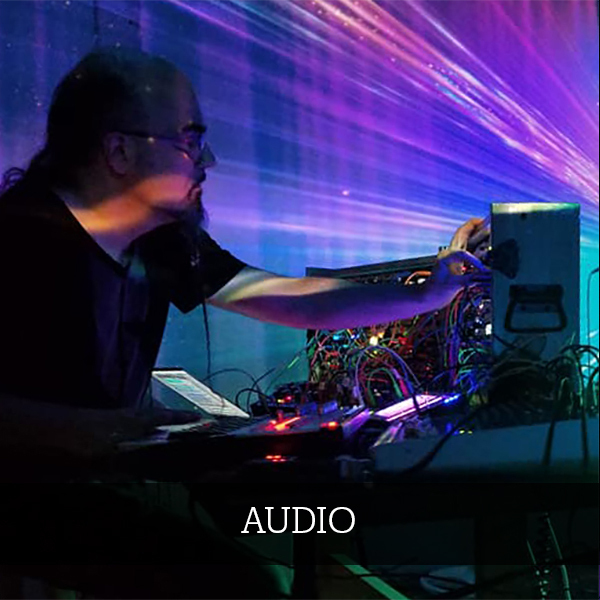 Fusing elements of sonic, electronic, digital and physical media, his work combines acoustic, recorded, and generative audio processes with objects and environments, and emphasizes relationships between sensory phenomena and perception. Ongoing themes of interest include explorations in immersive audio, multi-channel arrangements, geometric architectural forms, tactile interfaces, vibro-acoustics, viewer participation, resonant objects and amplified spaces. Recent work additionally explores an interest in biometric sensing, and therapeutic potentials of audio frequencies, rhythmic entrainment, and colored light. 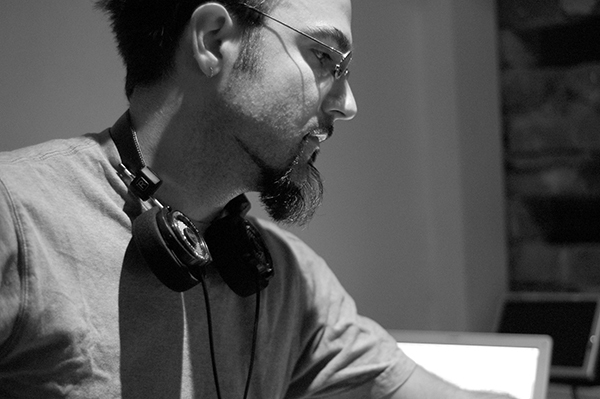 Hoffend also maintains an active music practice, recording and performing electronic music under the moniker Aether Chroma as well as his own name. Works have been installed or performed at the Institute of Contemporary Art Boston (Boston, MA), The Sprinkler Factory (Worcester, MA), Boston Cyberarts (Boston, MA), Thomas Young Gallery (Boston, MA), Proof Gallery (Boston, MA), Eastworks (Easthampton, MA), Mobius Artist Space (Boston/Cambridge, MA), IBM (Cambridge, MA), Microsoft Start-up Labs (Cambridge, MA), the Distillery Gallery (South Boston, MA), Studio Soto (Boston, MA), Union Square (Somerville, MA), The Enormous Room (Cambridge, MA), sQuareone Studio (Boston, MA), 90.3 WZBC (Boston, MA), Wesleyan University (Middletown, CT), Sonotheque (Chicago, IL), the Museum of Contemporary Art (Chicago, IL), Athenaeum Theater, (Chicago, IL), and Consolidated Works (Seattle, WA).